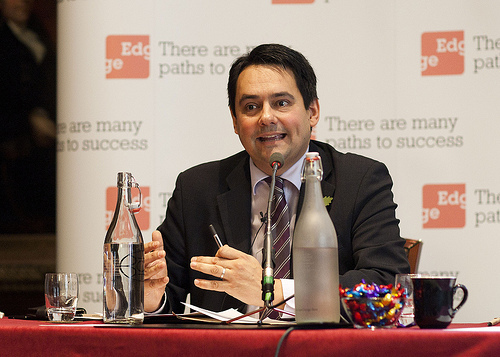 Where now for Labour education policy? As you and colleagues prepare for speeches, debates and conversations at this year’s conference, I am writing to suggest some of the principal themes and ideas that I hope you bear in mind. together in a package. They are not separate from each other. Each gives strength and resonance to each of the others, and by the same token each is reinforced and amplified by each of the others. Between 1997 and 2010, when Labour was in power, there was an understandable but regrettable desire amongst education ministers and their advisers to avoid negative coverage in the Daily Mail, and other papers with similar agendas and outlooks. The consequence was that many good things in education were not celebrated or even publicised to the extent that would have been appropriate – things like the progress in early years education, the increasing success of girls and young women, the greater access to higher education, the national strategies for literacy and mathematics, better provision for disabled children, projects such as the London Challenge, the invaluable role played at local levels by school governors, the energy with which bullying was addressed, particularly prejudice-related bullying, the major advances in the achievement of most minority ethnic communities. In the absence of such things being publicised and celebrated, the Labour education ministers seemed all too often to be mean, ungenerous, narrow, fearful, controlling. You cannot, I appreciate, ignore the Daily Mail. You can, however, defy it, challenge it, say no to it, say robustly that by and large schools in this country are doing a very good job. Danny Boyle’s opening ceremony at the Olympics this summer was saluted right across the political spectrum, and in the full range of national newspapers. So, more generally, were the Olympics and Paralympics. A cabinet minister said in the Daily Telegraph that ‘we must pass the Danny Boyle test’, meaning the Tories should show themselves to be up-to-date, lively, creative, generous, open-minded, self-critical, spirited, full of good cheer. The Labour Party too, of course, must and can show it is all these things, particularly (though not only) in its education policies. A columnist in The Times said the Olympics and Paralympics this summer ‘have made us nicer people’. Well, that may be a bit over-optimistic. More accurately and modestly, they reminded us that we are nicer – more generous, more imaginative, more caring, more public-spirited – than we are inclined to suppose, and than we are portrayed most of the time by most of the media. Think Danny Boyle, Stephen, not the Daily Mail. Earlier this year the Children’s Commissioner for England invited parents and teachers, and everyone else concerned about the lives and life chances of children and young people throughout the land, to imagine two young people, Jack and Jill. They are exactly the same age, these two young people, and attend the same school – they walk daily in term-time through the same school gates, sit in the same classrooms, use the same leisure spaces. But they have different futures ahead of them. Jack lives in a low-income household, has special educational needs, and is of African-Caribbean background. Jill’s household has a reasonable income, she does not have special needs, and she’s white. Statisticians at the Department for Education have calculated that Jack is 168 – one hundred and sixty-eight, Stephen, did you hear that? – times more likely than Jill to be permanently excluded from school. Which means he is also hugely more likely to be NEET when he leaves school, to be unemployed or under-employed through most or all of his life, and to get into trouble with the police and perhaps spend time in prison. He will almost certainly die before Jill does, but in the course of his life-span will cost the state far more money. Now permanent exclusion from school is statistically very rare. It’s the tip of an iceberg, however. Jack stands not only for the tiny proportion of young people kicked out of school on a permanent basis but also for all who fail in their schooling, or are failed by it. Those who fail are disproportionately from low-income households, are male, have special educational needs, and are from certain backgrounds in terms of ethnicity. Education policies must have due regard (to quote the Equality Act 2010, section 149) for issues of class, gender, disability and ethnicity. The term due regard may sound rather meaningless. But as the TUC has pointed out, case law in recent years has shown the concept can be defined and measured, and that it’s powerful and productive. Think Jack and Jill, Stephen, not nameless numbers. Parents and politicians need information, and information needs to be comparative, and schools need to be accountable, yes, of course, of course, of course. But league tables in their present form in England are a pernicious absurdity, not fit-for-purpose. So, incidentally are the international league tables concocted by the OECD. Scrap league tables – or rather, replace them. And at the same time vastly improve the English baccalaureate, emphasise soft skills and people skills (what Ofsted calls SMSC – spiritual, moral, social and cultural), vigorously promote the performing and expressive arts, discussion and teamwork skills and an extended understanding of literacy, invest in teachers’ continuing professional development, and nurture cooperation between schools, not competition. Think life, Stephen, not league tables. Continue to harry the Tories over academies and free schools, Stephen, and the massive centralisation of power that Michael Gove is creating. Yes of course, harry and criticise and condemn. But don’t lose sight of what’s really important. Robin Richardson is an educational consultant (www.insted.co.uk) and a former director of the Runnymede Trust. His publications include Daring to be a Teacher (1990), In Praise of Teachers (2002) and Changing Life Chances (2012), all published by Trentham Books.